Once upon a time in a land faraway, Mexico to be exact. I meandered down the street with my trusty doggy companion Payton. When all of a sudden we looked up and saw this sweet little dog sunning himself in his owners window. 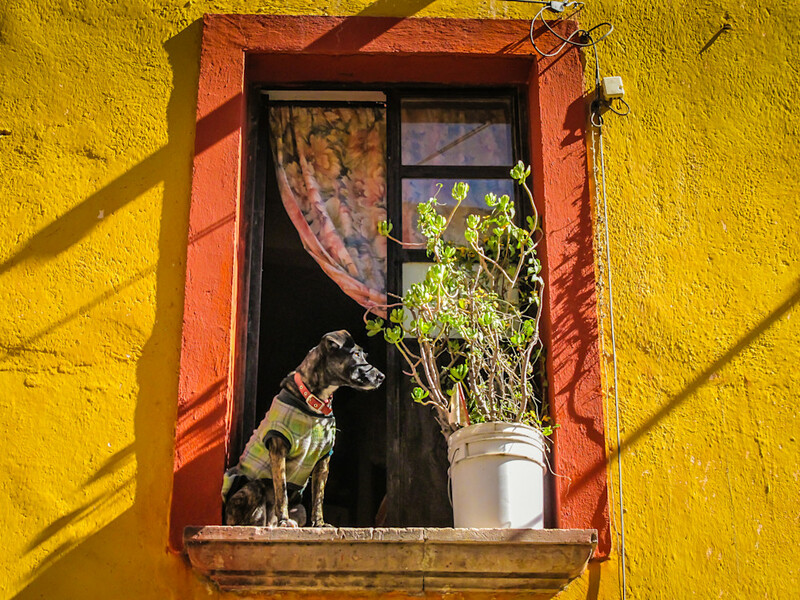 That's what I love about the dogs in San Miguel de Allende. They are expressive, attentive and beautifully comfortable in who they are.